Exclusive, elegant and secluded. The Georgia Conservancy’s Cambium trips to Little St. Simons Island embody all of these qualities. To say thank you to the Georgia Conservancy's dedicated Cambium members, the staff at The Lodge at Little St. Simons Island is offering a generously reduced price weekend package during January 4-6, January 11-13 & January 25-27. On 11,000 acres of protected land, Georgia Conservancy Cambium members will discover a wild, yet accommodating island during their stay at The Lodge on Little St. Simons. A world-renowned resort, The Lodge was recently voted #1 Top Resort in the South and #9 of The 10 Best Resorts in the U.S. by the readers of Condè Nast Traveler magazine. 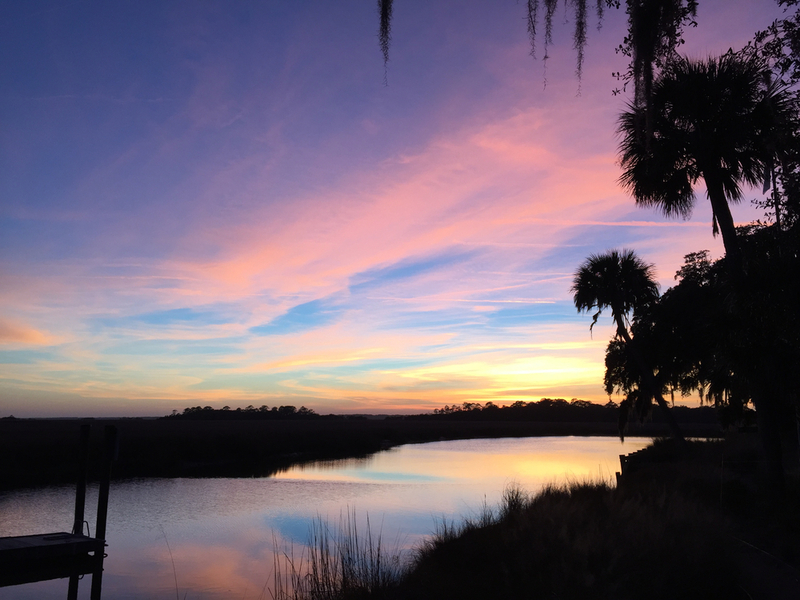 Little St. Simons Island is an ecological gem, offering seven miles of pristine beaches, a network of smooth-flowing tidal creeks and tall stands of shady maritime forest. Naturalists and adventurers will appreciate the bicycles, kayaks and guided excursions with which to explore the island’s diverse ecology. Does surfcasting, light spinning or fly fishing perk your interest? Birding? Biking? Complimentary gear and advice will be provided for Georgia Conservancy Cambium members who wish to recreate on the island. Lest we forget those who desire to simply relax, Little St. Simons Island has all the amenities to suit your every need. Each day, no matter your activity of choice, we will join together to share meals rich in local ingredients and reflective of the regional low-country cuisine that is famous around the world. From the moment you are welcomed you to the island, the Cambium trip to Little St. Simons Island is truly special. During these weekends, Little St. Simons Island staff will offer the standard island exploration options in addition to the special activities hosted by Georgia Conservancy staff. JANUARY 4-6, JANUARY 11-13 or JANUARY 25-27. Two-night package. The price is per couple, and includes meals, beverages (including beer & wine), naturalist-led tours, use of the island's equipment (bikes, kayaks, fishing gear, motorized skiffs, etc.) and boat transport to/from the island. (Tax and service charge not included). To begin your registration and/or join or renew as a Georgia Conservancy Cambium Member before registering, contact Georgia Conservancy Donor Relations Director Carden Barkley at cbarkley@gaconservancy.org or Georgia Conservancy Communications Director Brian Foster at bfoster@gaconservancy.org. Created in 1974 to distinguish those who are the staunchest supporters of Georgia's land and water. This membership level, starting at $250, is a nod to the Cambium layer of a tree - the layer which provides essential nutrients, allowing the tree to survive year after year. Cambium members provide that vitality to the Georgia Conservancy's work. Become a Cambium member of the Georgia Conservancy today! Contact Georgia Conservancy Donor Relations Director Carden Barkley at cbarkley@gaconservancy.org or (404) 876-2900 ext. 115 anytime for questions or details concerning your membership with the Georgia Conservancy.